When designing the Nourishment garden we wanted to incorporate features of the rural landscape of Northern Ireland. In two areas of the garden we represent the wild countryside with dense plantings of birch mingled with a wild meadow. Meadows are important reserves of biodiversity, not only are they rich in plant life, they also provide habit and fodder for a wide range of animals. Many forgeable edibles can also be found in meadows such as common sorrel, wild marjoram and meadowsweet. 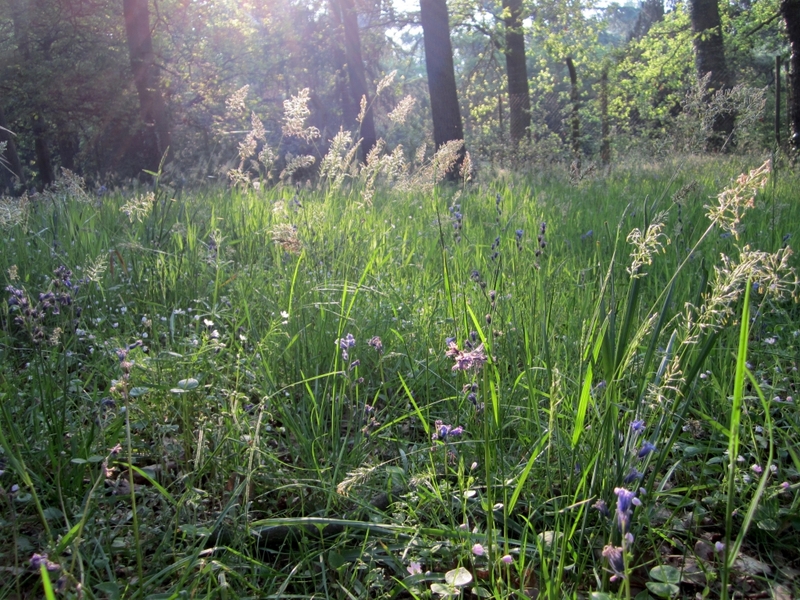 Asides from their important ecological role, meadows are also beautiful, and have a long season of interest from spring to late autumn and I believe could be used more in urban planting schemes. To create a natural meadow look we sourced meadow turf, which like lawn turf, can be lifted in mats and rolled up for transport. This can be a relatively quick way of growing and establishing a wild ﬂower meadow, but there are many other ways to do this. 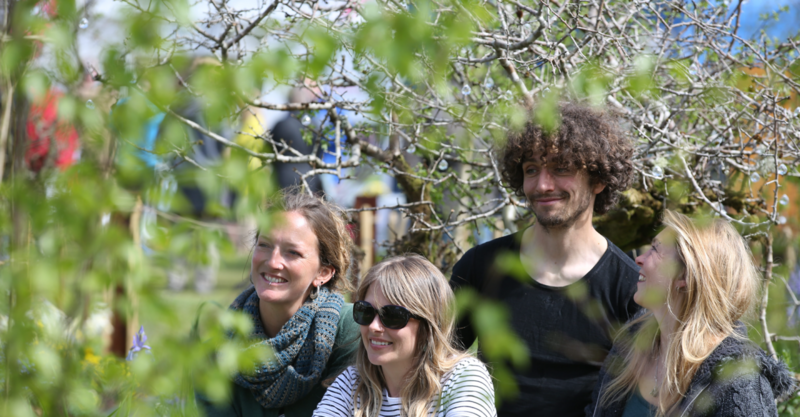 Our meadow currently is being grown undercover by Fergie at Dornans Nursery to bring it into lush growth in time for the show. The ﬁrst ﬂower! 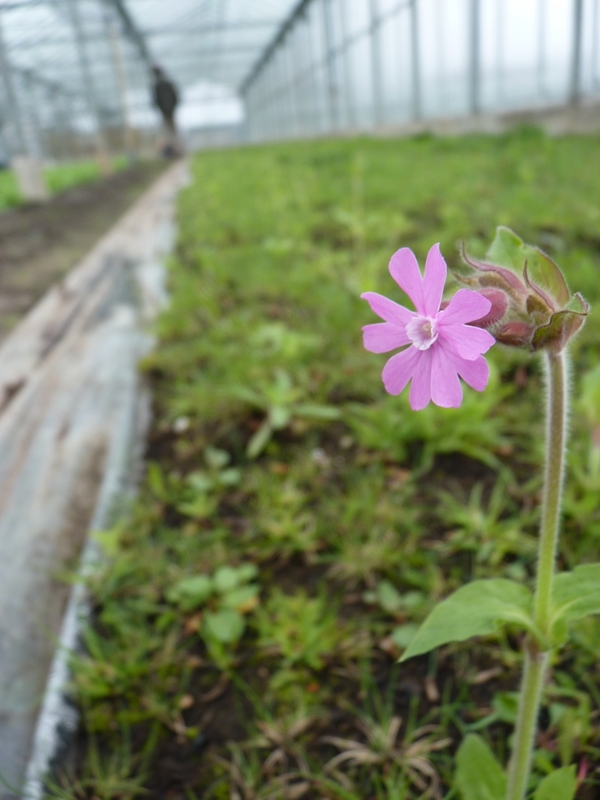 A red campion (Silene dioica) ﬂowering in our meadow turf being grown under cover. Don’t miss out on seeing the finished garden!